Scientists say your body acts and feels 70 years older than it actually is in Everest's high-altitude "death zone." And Min Bahadur Sherchan was already very old. 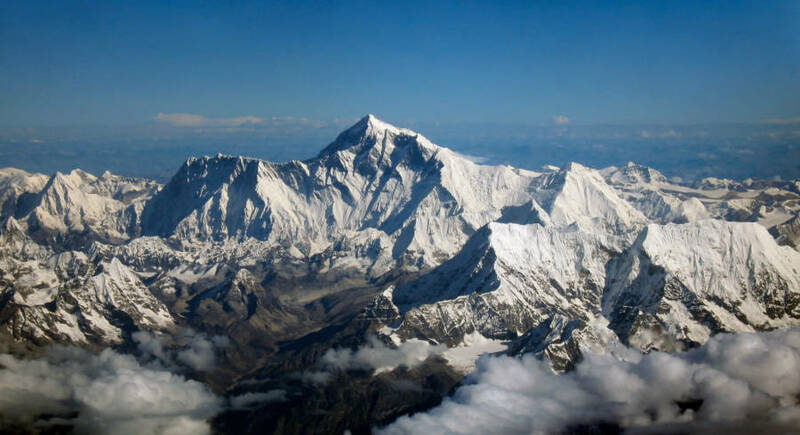 Conditions at the top of Mount Everest are so severe that the area near the peak is widely referred to as the “death zone.” The lack of oxygen at such high altitudes (above 26,000 feet) has caused some scientists to estimate that a climber at that height temporarily has the body of someone 70 years older than they actually are. This means that climbers in their 30s might have the body capabilities of a 100-year-old near Everest’s peak. 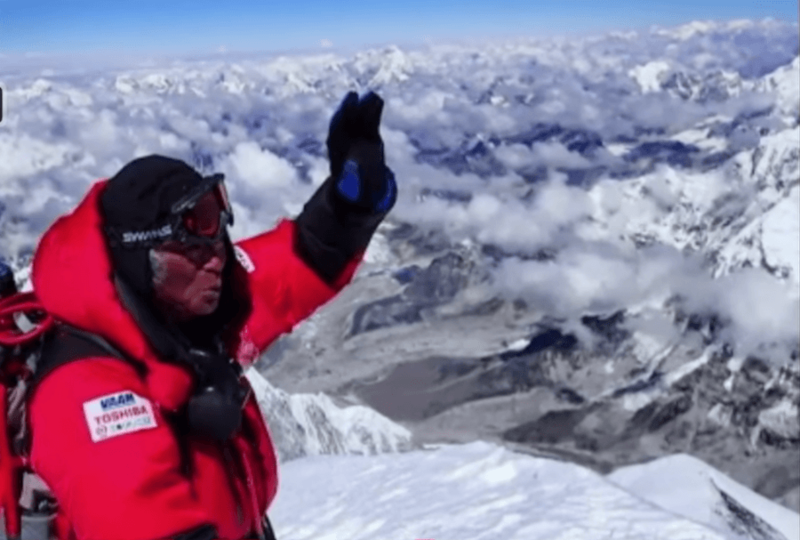 And Min Bahadur Sherchan — the one-time record-holder for the oldest person to summit Everest, at age 76 — probably felt more than a century and a half old. Little is known about Min Bahadur Sherchan’s early years, other than that he was born in 1931 in a tiny town in western Nepal and had previously served as a Gurkha soldier in the British Indian Army prior to Indian independence. He got his first taste of mountaineering in 1960 when the Nepalese government assigned him to be a liaison officer for a Swiss climbing team attempting to summit Nepal’s Mount Dhaulagiri, the world’s seventh-highest summit. However, it would be another four decades before Min Bahadur Sherchan made his first attempt at Mount Everest. Min Bahadur Sherchan began preparing for his Everest climb in 2003, reportedly walking nearly 750 miles across Nepal as a way to train. And his hard work paid off. 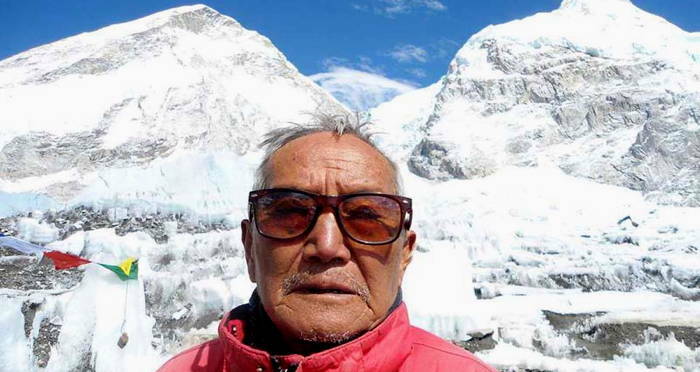 In 2008, at the age of 76, Sherchan set the world record as the oldest climber to ever reach the top of the world’s highest mountain. However, astoundingly, Sherchan’s record only stood for five years. In 2013, a Japanese climber named Yuichiro Miura made it to the summit at the age of 80. But as soon as he lost his title, Sherchan became determined to regain it. At first, it seemed that fate was working against Min Bahadur Sherchan and that he would never get the opportunity to take his record back from Miura. In 2013, the then-81-year-old had to call off his attempt due to dangerous weather conditions. 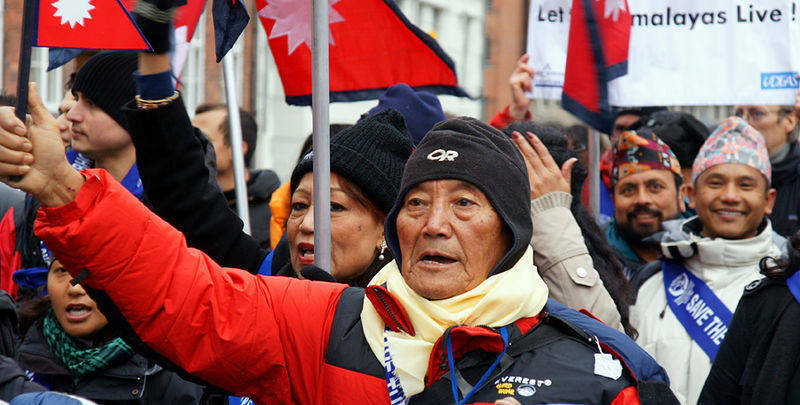 Two years later, at the age of 83, mother nature thwarted another of Sherchan’s attempts with a massive earthquake that killed almost 9,000 people in Nepal and triggered an avalanche on Everest that took the lives of 18 climbers. Nevertheless, Sherchan kept his dream alive and the great-grandfather kept preparing for his attempt. He would walk about nine miles every day and was reportedly in good physical condition, although he had not spent time at the high altitudes found on Everest since 2015. And in the mountain’s “death zone,” where most Everest fatalities occur, oxygen levels are dangerously low (only about a third of what they are around sea level). The human body is simply not built to survive in conditions found on Everest’s peak and even a young person in prime physical shape faces dangers such as brain hemorrhages or heart attacks from the drastic change in altitude. Despite warnings from his doctors and a struggle to find an insurance company to cover him, Sherchan began what was to be his final attempt at Everest in May of 2017. Despite his optimism, Sherchan never returned from his would-be record-breaking mission. In fact, he never even got anywhere near the “death zone.” On May 6, he passed away at base camp, from what officials deemed cardiac arrest, at the age of 85. After this look at Min Bahadur Sherchan, read up on Marco Siffredi, the man who died trying to snowboard down Everest. Then, discover the story of Rob Hall, whose story proves that even the most experienced climbers can perish on Earth’s highest peak.